Having access to hot water is a luxury that many people take for granted. By properly maintaining your water heater, you can prevent breakdowns from happening too frequently. A professional can be used to do maintenance on your hot water tank and to do simple to complex hot water tank repair. First, you will need to learn what types of problems you may run into down the line that may require the assistance of a technician. If your hot showers are turning cold too quickly, then you shouldn’t ignore this problem. A lot of people ignore this issue because they are afraid of the cost of repair work. The reason this is happening is because the water heater isn’t warming up a sufficient amount of water. It is failing to heat up the water fast enough to meet your demands. Typically, a water heater should be able to warm up a tank of water within an hour or so, depending on how old the model is. The causes of this problem can be a bad installation, parts that are damaged or the tank being too small for the needs of your household. If this is the case hot water tank replacement is probably going to be your best option. You might even want to consider a tankless hot water heater. First, you should check to make sure that the pilot on the hot water heater is on and properly functioning. You should also take a look at the dip tube that’s within the cold water pipe to see if it is broken. When you have heating elements that are malfunctioning, they will need to be replaced as soon as possible. If you have taken care of these things and your water heater is still acting up, then you may want to have it replaced by a technician. Strange noises coming from your hot water tank may be the first sign that there is something wrong. The sounds may be high-pitched whistling or thumping and anything else in between. When you hear such sounds, it’s due to your water tank having rusty parts that require cleaning. 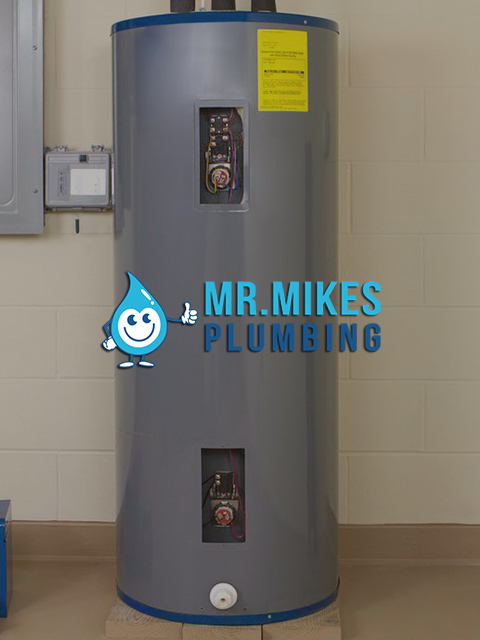 In order to properly maintain your hot water heater, you’re going to need to clean off sediments and dirt that can build up on the equipment. If you don’t clean them off, the weird sounds will turn to malfunctions. If you see water leaking from the unit, it will need to be repaired by a technician. Leaks can lead to rust, which can be detrimental to the water heater. Check the bottom to see if there are any holes. Sometimes, the problem could be overheating. This can be countered by lowering the temperature, which will stop the leak. 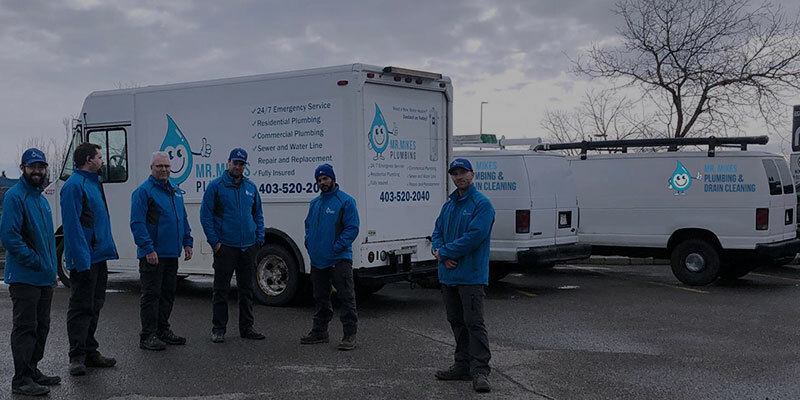 If you’re experiencing these problems give us a call even if it’s the middle of the night and one of our Calgary emergency plumbers will respond. If no hot water coming out of the faucets at all, you’ll need to check to see if the pilot light is on. The electricity supply must be properly working for the water heater to run smoothly. If these aren’t the issue, then a professional will be needed to do a diagnosis. Replacement of a heating element or thermostat may be required. 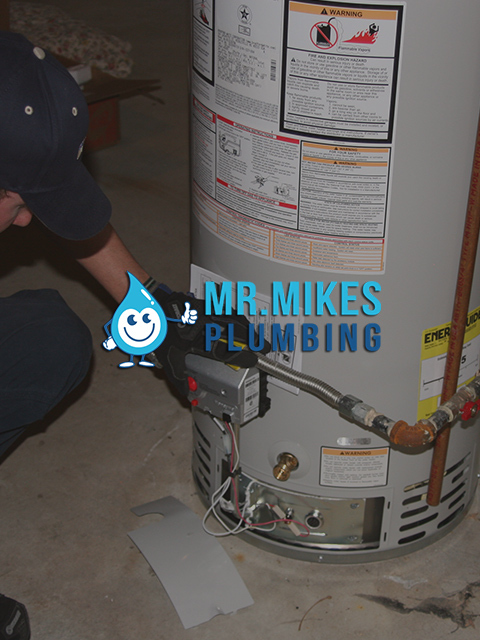 At Mr. Mike's Plumbing, we have professionals that can assist you with your hot water heater install or repairs. We have been around since the year 2013 and have since been helping customers in the Calgary/Alberta. We believe in customer satisfaction, so we do everything we can to ensure you’re happy with the work we perform. 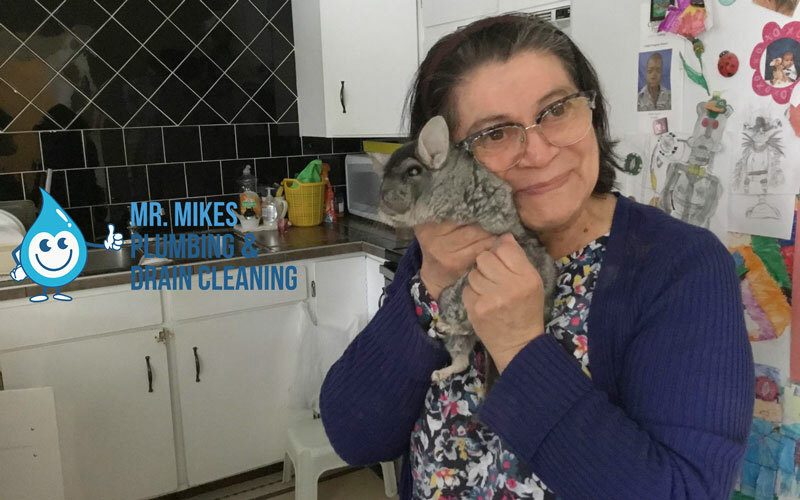 Mr.Mike's Plumbing has a great reputation because of our dedication to our clients. 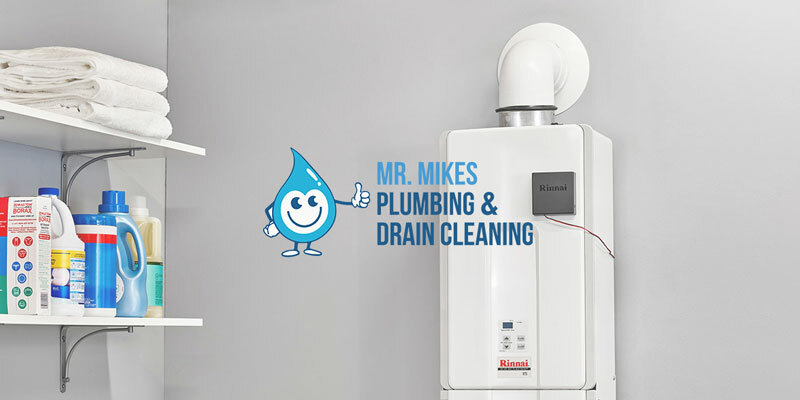 Whether you have a leaky pipe, toilet clog, drainage problems or a hot water heater that needs repairing, we are the company to call. We can service any type of water heater, including Trane, Rheem and Whirlpool. Installing a hot water tank in Calgary is probably the most common home repair jobs preformed by a home owner today. In the case you don’t know how to install it, you can create more hot water tank problems. Installing a new hot water tank is fairly easy to do as long as you read all of the directions before you start. Safety is the main thing to remember in this project. The water you are dealing with may still be hot, or you may be dealing with gas or electricty. All 3 of these things may cause injury, or even death, if not handled with care. 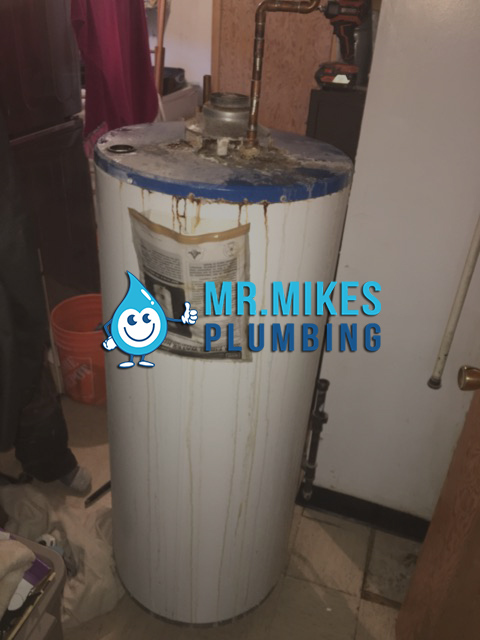 You will have to disconnect and remove your old hot water tank before installing your new tank. The first step is to shut off the power supply to your hot water tank. This could be either gas (valve on pipe) or electricty (removing fuse/switching off breaker). Now shut off the water supply to the hot water tank. Once this step in done it creates new hot water tank problems, draining the tank. The water inside may still be hot and can cause burns, so use caution when draining the tank from the valve located at the bottom of the tank. Once completely drained, you can start unhooking the water pipes. There will be a cold source pipe and a hot water pipe to disconnect. Older homes may have the pipes soldered together and will take more time to disconnect. With the old hot water tank now disconnected, You actually have new hot water tank problems! How do you get rid if it properly once you remove it from your house. Contact your local government agency to find out your options. It is time to install the new unit. You will want to use a dolly or a 2nd person here to prevent any damage to the new tank. You need to position the tank so that all pipes can reach, this includes the gas supply to prevent any gas leaks. Now its time to reconnect all the pipes and be sure there are no leaks. Refer to the user manual if you are unsure which pipe goes where. This will prevent any more hot water tank problems. The last step is reconnecting the tank to its power source. If you are uncomfortable with this, contact a professional technician to solve your hot water tank problems. Looking for solutions to specific hot water tank problems? Be sure to read Gas Hot Water Tank Problems next.